Property 1: A'Town Loft: Studio Loft Apartment w/Mt. Baker and Cap Sante Views! Property 5: Airy Home Near Anacortes w/Game Room & Ocean View! Sea Forever Guest House.Stunning Views of Sea & Mountains. Pet Friendly.Quiet. Property 12: Sea Forever Guest House.Stunning Views of Sea & Mountains. Pet Friendly.Quiet. 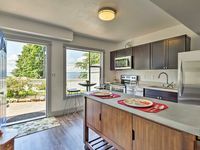 NEW Studio in heart of Anacortes perfect for exec travelers and getaways! Property 13: NEW Studio in heart of Anacortes perfect for exec travelers and getaways! 1 bedroom above main house with private entrance! Property 15: 1 bedroom above main house with private entrance! Property 17: Stunning Saratoga Passage View! NEW! Chic Apartment 2 Blocks to Central Fairhaven! Property 24: NEW! Chic Apartment 2 Blocks to Central Fairhaven! Elegant SouthHill Haven w/View-by WWU & Downtown! Property 26: Elegant SouthHill Haven w/View-by WWU & Downtown! NEWLY LISTED! DOWNTOWN FRIDAY HARBOR NEAR FERRY! Property 30: NEWLY LISTED! DOWNTOWN FRIDAY HARBOR NEAR FERRY! NEW LISTING! 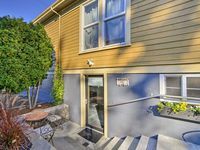 Dog-friendly studio w/ kitchenette, WiFi, yard & fire pit! Property 34: NEW LISTING! Dog-friendly studio w/ kitchenette, WiFi, yard & fire pit! NEW One-Bedroom Luxury Apartment at Tilllinghast Seed of La Conner. Property 38: NEW One-Bedroom Luxury Apartment at Tilllinghast Seed of La Conner. NEW Two-Bedroom Luxury Apartment at Tilllinghast Seed of La Conner. Property 39: NEW Two-Bedroom Luxury Apartment at Tilllinghast Seed of La Conner. Treetop Pastoral Views, Beach Access, Beautiful Light in Converted Barn Apt. Property 48: Treetop Pastoral Views, Beach Access, Beautiful Light in Converted Barn Apt. Even though we arrived late after delays on the US border, Sonu gave us a great welcome, and made us immediately feel very at home. The interior of the apartment was spotless and very well kitted out with everything you could need. We had beautiful views of Bellingham Bay - especially the sunsets! The house is within walking distance of the shops and cafes in Fairhaven, and very close to the University. It's an ideal spot if you enjoy hiking. Every day we were out exploring the various city, state and national parks. Highly recommended for eating: Colophon Cafe, Village Books and Mount Bakery in Fairhaven, and Aslan Brewing in Bellingham If we were ever over this way again, we'd definitely stay here, and would recommend it to anyone. Clean and beautifully furnished. Comfortable bed and nice linens. Grocery store within walking distance. Homemade banana bread was a nice touch!